PBTP One Air Conditioning has been servicing Marina del Rey, CA for more than 20 years. We service both residential and commercial properties and pride ourselves on reliability and professionalism. Our technicians are stocked with some of the finest tools in the market today. These new tools increase your system's efficiency and make it easier to diagnose the toughest problems. When you need appliance repair service in Marina Del Rey and the surrounding cities, we are available for your anytime, and we offer same day service. 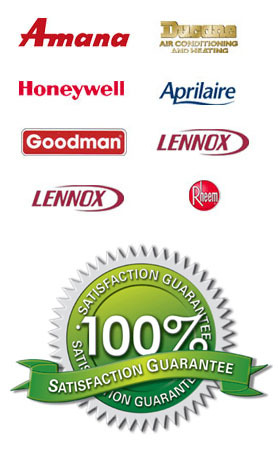 We service and repair all brands and models for major appliance, heating and air conditioning units. Our service call is free with any repair that we perform and we always provide a written estimate before the repair, which must be authorized by you in order for us to complete the service. We don’t charge extra for travel or if you need a repair on the weekend or at night. With the most competitive prices in Marina Del Rey, we also have a low-price match policy so we ensure that you pay the lowest possible price for any appliance, heating or air conditioning repair. Our large volume enables us to offer low prices that include delivery and installation. Our parts department and installation crews give our customers worry-free maintenance; prolong a unit's life; and result in greater efficiency, for still more savings. These are advantages you will not get from an appliance store or other so-called specialists. Our trucks are stocked with more parts than any other service company in the industry. We believe the more parts we carry, the better the chance of getting your system up and running right away. This reduces the downtime on your system. "Whenever I have AC issues or need maintenance I always call PBTP One Air Conditioning. They are very professional towards their work and solve all your needs at an affordable prices. They are BEST!! "Thank you for the great job you did on the installation of my air condition. I could not have asked for a better job to be done. Everything was completed in a timely matter with no inconvenience to me or my family.You Guys are great!!! "